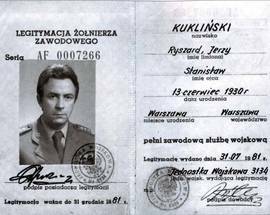 Ryszard Kukliński was a colonel in the Polish Army during the Cold War era who began spying for the US in 1972. Colonel Kukliński had been instrumental in the invasion by the Polish Army of Czechoslovakia in 1968 to put down the protests there and his unease with this and his realisation that Poland would likely be the main target of a nuclear strike in the event of war motivated him to contact the Americans. Over the next nine years he was to pass countless secrets to the CIA before he and his family were whisked out of the country on the eve of Martial Law being imposed in December 1981. 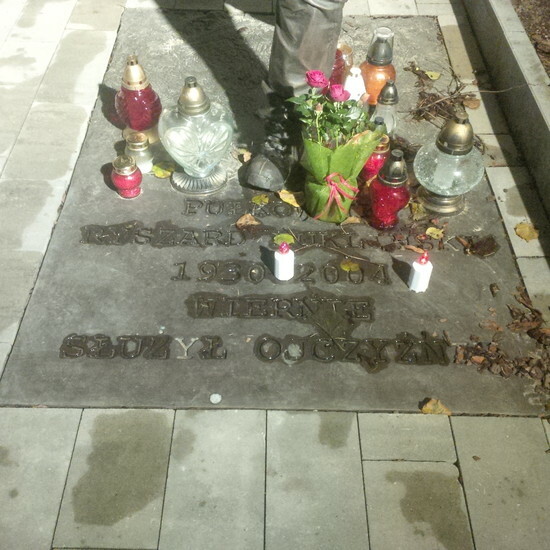 In his absence he was sentenced to death by a Polish military court in 1984, a sentence that was commuted to 25 year’s imprisonment when the death sentence was abolished after the fall of communism. He was finally pardoned in 1995. He died in Florida in 2004 aged 73, but only after his two sons both died mysteriously in the US. 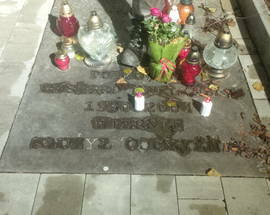 Interestingly, even today he divides opinion among Poles about whether he was a good or bad man. 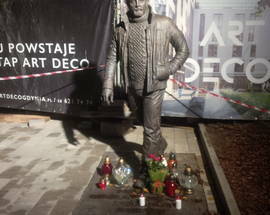 Despite Kukliński’s stated aims and the fact that he received no payment from the Americans, many consider him a traitor to his fellow soldiers and to the country he was supposed to be serving and a second statue to him in Kraków has been vandalised. He is also considered by many others, on the other hand, as an anti-communist hero who was trying to protect his country and who helped damage the communist rulers. 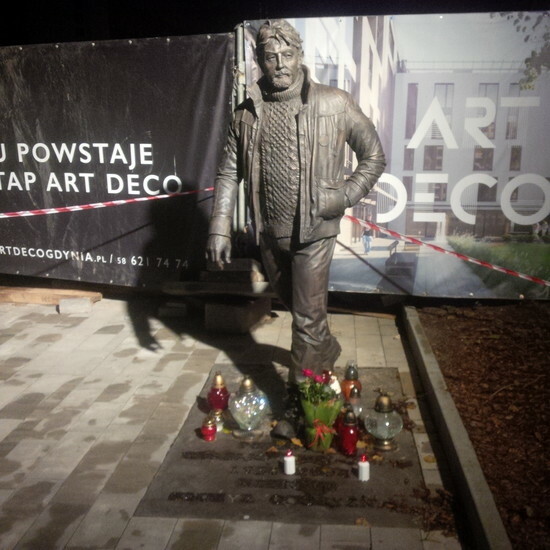 This statue, the work of Tomasz Sobisz of the Academy of Fine Arts, was unveiled with military honours on September 17, 2015, the anniversary of the Soviet Union’s invasion of Poland in 1939 in the presence of mayor Wojciech Szczurek. 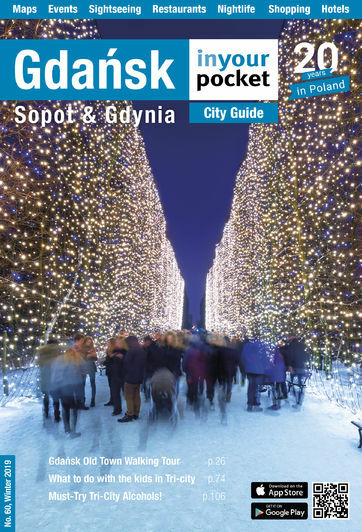 The statue was paid for by local developer Andrzej Boczek, who as a local councillor in 1997 pushed through a motion which describing Kukliński’s actions as heroic and as well as being honoured by Gdynia, Kuklinski was made an honorary citizen of Gdańsk. 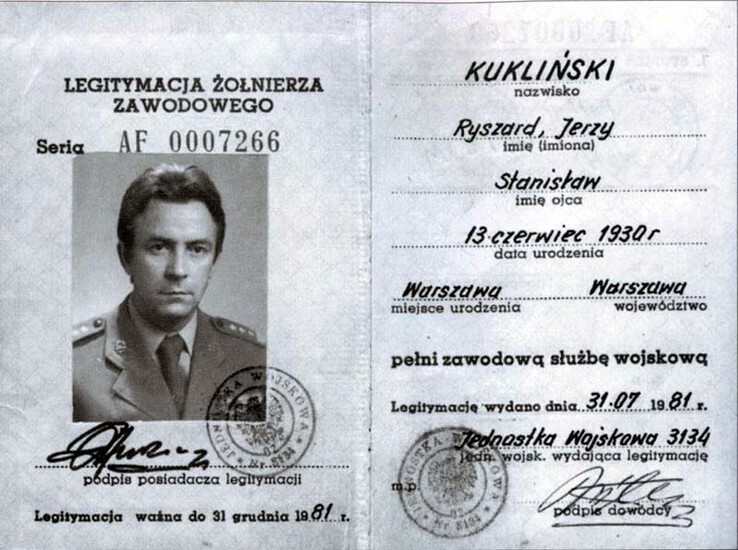 In 2013 a film about Kukliński’s life was released, entitled Jack Strong, his CIA codename.